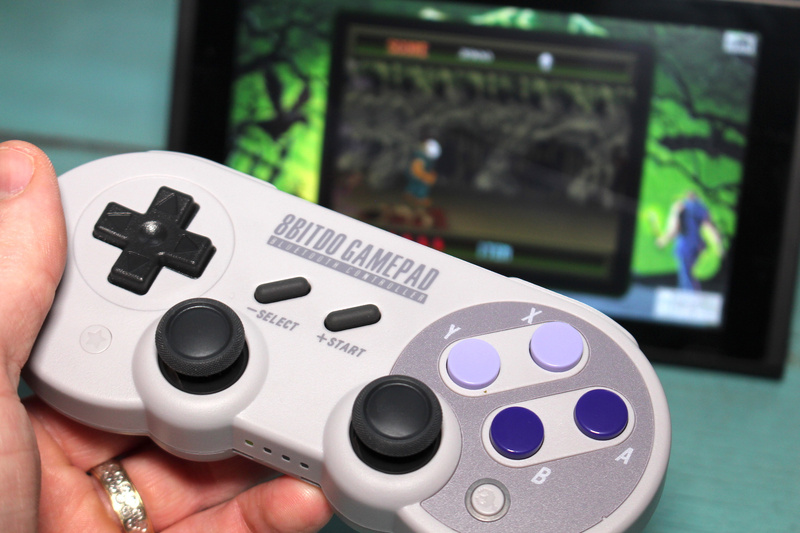 Hardware Review: 8Bitdo SN30 Pro Gamepad: The Best Switch Pro Controller? 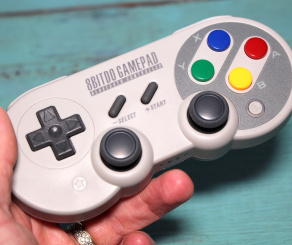 If you take your video game controllers seriously, then chances are you won't need any introduction to 8bitdo. This peripheral maker has been crafting superb pads and accessories for some time now, many of which take more than a little inspiration from Nintendo's own controllers. Over the years we've seen excellent replications of the NES, Famicom and SNES pads, all so well made that you'd swear they were first-party products. Now, the company is back with what promises to be its most accomplished pad yet. 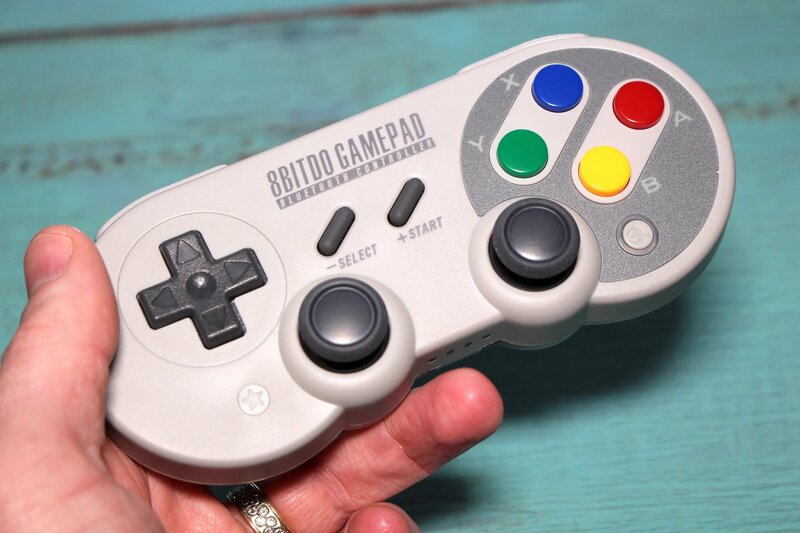 8bitdo's NES30 and SNES30 pads have already been updated to support Switch, but both of those lacked key features, such as motion control and rumble. 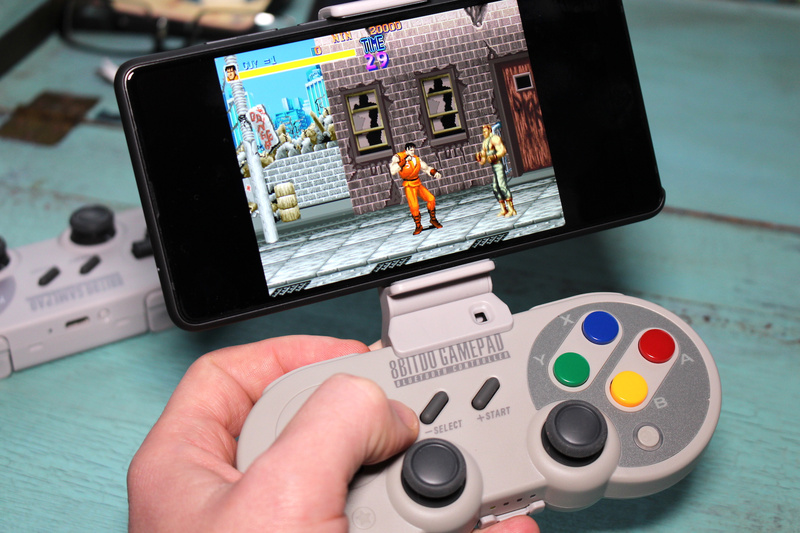 Now the firm has released the SN30 and SF30 Pro, which remedy this situation whilst adding dual analogue sticks, a Home button and a screenshot button. The only thing missing here is an NFC touchpoint for amiibo figures, but you can't have everything. 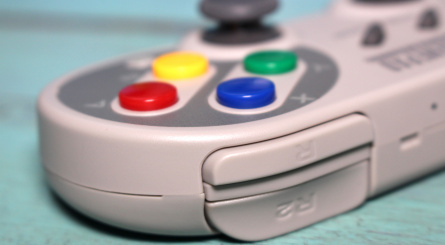 As you can see from the photos on this page, the controller is based on the iconic SNES pad. In terms of build and construction, it's an amazingly close match to the real thing - right down to the precise D-pad and responsive buttons. The big change is the twin sticks (they're also a joy to use, it should be stated), which have forced a slight design change on the rear of the controller - there are two "bumps" where the sticks are housed, but they don't really impact the usability of the pad. The shoulder triggers are also altered slightly; the L and R buttons are thinner than usual and next to them we have the ZL and ZR triggers, which are sculpted so your fingers instinctively rest on them, just like the triggers on the official Joy-Con. Pairing the SN30 Pro is easy thanks to a familiar four-LED indicator which denotes which player is assigned to which pad. The pads are compatible with Switch right out of the box, so there's no need to update the firmware - although 8bitdo will no doubt release new firmware in the future to iron out any kinks present. 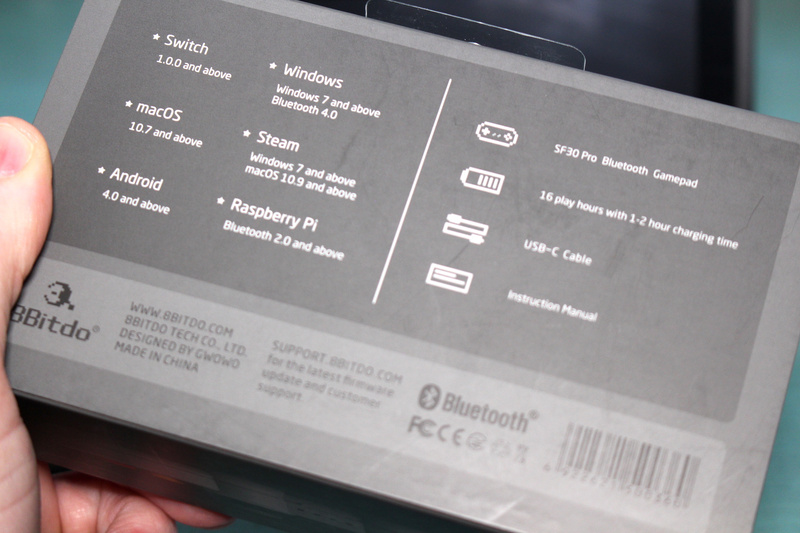 Speaking of which, we noticed that when using two or more 8bitdo pads at once there was a noticeable degree of lag, at least in our setup (given how many devices output wireless signals in the average household these days, it's hard to be sure that it's the product and not the environment that is at fault). We nevertheless raised this issue with 8bitdo - which has already improved the performance of its previous pads via firmware updates - and were assured that if a problem did exist, it would be patched in a future update. The controller's motion controls work as you'd expect, while an internal motor provides some force feedback to accompany the on-screen action. It's not anywhere near as subtle as Nintendo's HD Rumble, and our video guru Alex thought it was noisier, too - but your own milage may vary. It's certainly no worse than other rumble controllers we've used in the past. 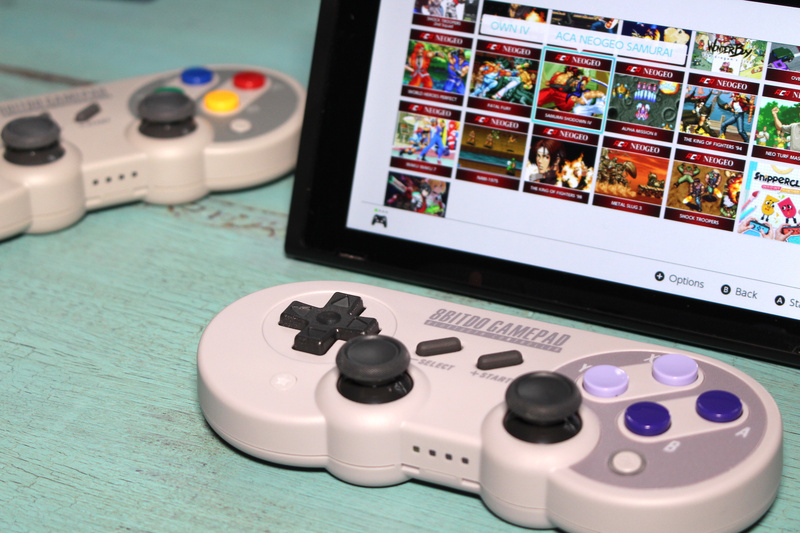 Of course, being an 8bitdo product, this pad isn't simply limited to the Switch - it supports Android, MacOS, Windows, Steam and (in the near future) Raspberry Pi-based systems and the Hyperkin Retron 5. There's even a clip which allows you to bolt the controller onto your smartphone, if you're that way inclined. The internal rechargeable battery offers around 16 hours of use of a single 2 hour charge, and the unit has a USB Type-C port (and cable) so it's future-proof - for the next few years, at least. So, is the SN30 Pro really the best Pro Controller option for Switch? At $50 it's cheaper than Nintendo's official pad but lacks NFC support; that may be a deal-breaker for you, or it may be of no real consequence. In its favour, the SN30 Pro is smaller and boasts an iconic design which will make it very appealing to seasoned Nintendo fans, or those who have just taken stock of the lovely SNES Classic Edition. I'll pass, I do like the design though. The price is my biggest hurdle, all my money has been going to Nintendo games. Hm... the lack of HD rumble is disappointing. I've been surprised to find how much I miss it every time I go to a non-switch system (At least so long as it's implemented well... a few games have had me turning it off). 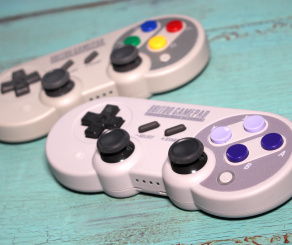 I'll stick with my vanilla 8bitdo SNES pad, thanks. Unless it's a side-scroller and I'm playing on the TV, I prefer to use the joycons due to their wonderful versatility. I'll be getting one. I still plan to use the Pro Controller as my main controller but there might be some games where I prefer this layout so best of both worlds. 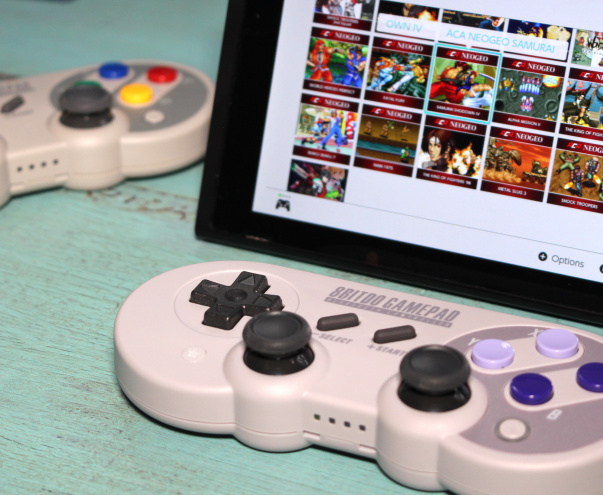 I'm considering getting one of these just for the D-pad as I find the Pro D-pad to be terrible for 2D games. Puyo Puyo Tetris and Shock Troopers 1 & 2 are practically unplayable with it. There is too much looseness on U/D/L/R directions that accidental diagonal presses are inevitable. Can't believe Nintendo of all people thought that was OK. I'll consider this essential to enjoying the selection of retro-styled games on the Switch that use more buttons than a typical SNES pad. Games like Blaster Master Zero and The Mummy Demastered for example make use of the ZL/ZR buttons, so it's necessary to have these. The controller is a no-brainer if you're disappointed with the official Pro Controller's d-pad, and you're playing a game that's d-pad centric. Does it have HD rumble? Sounds like it's the old style. @RupeeClock Yep, it is indeed terrible and I'm surprised more hasn't been said about it. When NL reviewed the pad they praised the D-pad, they obviously didn't try playing Puyo Puyo Tetris among others.Once Nintendo start releasing their classic games then I think we'll start to see more complaints. I’ll defintily be picking this up! I use amiibo but most switch games don’t use them too much, and at 50 dollars it doesn’t break the bank. Not to mention it looks amazing! Is it bad that I prefer the American snes one? I don’t the European one just looks fake, I don’t know. I guess it just looks off. I REALLY wanted one of these since E3 this year, but since the release date kept being pushed back I realized, I have a pro controller, I do not need this. So I cancelled my preorder. Saved myself at least €45. Might pick one up in a few years though. I like it for use on all kinds of systems, I have a lot of 2d games on my PC and it would be great there. Plus it would be nice to have a controller that works with my phone. And ipad? Maybe? What I'm curious about is how comfortable it is. Not that I would actually do this but lets take it to the extreme. Say you're doing an all day gaming session, like 12 hours or something, would you use this? Are the buttons and grip comfortable? For the record I find an xbox one controller somewhat uncomfortable but usable, and feel I could use a switch pro-controller all day no problem. Tell me about it, Puyo Puyo Tetris on the Pro Controller's d-pad is a nightmare! It will accidentally register hard-drops all the time, ruining your game. Thank goodness I have the SFC30, makes playing the game so much nicer, but then it's also perfectly playable using the regular Joy-Cons instead. I would but my pro control is fine...for now. I might pick up one of these later. I am only going on the pictures (I haven't tried it), but the Analogue Sticks look too far inwards for me. When/If Virtual Console comes out, I maybe tempted. But at the moment i like the joy cons. Also doesn't really show if the top of the analogue sticks are concave (goes in) or convex (rounded out). I've always been very leery of second party controllers. I've purchased way too many in the past and have been disappointed. However, I've never owned one of 8bitdo's so who knows? @dkxcalibur I have too, but these are really good. It’s almost like they were made by nintendo. They had one issue with lag using multiple controllers, but it was fixed in a firmware update. I’ve used the nes30 pro and the snes30 with multiplayer bomberman and mario kart, and they perform just as well as the nintendo controllers (just no motion control on those ones). @tguk911 I think the most recent update on the classic reciever alows you to use all of the 8bitdos with both classic consoles, so I would imagine these will work too. My reciever hasn’t arrived yet, so I can’t confirm. I’m glad I got the regular snes30, though. 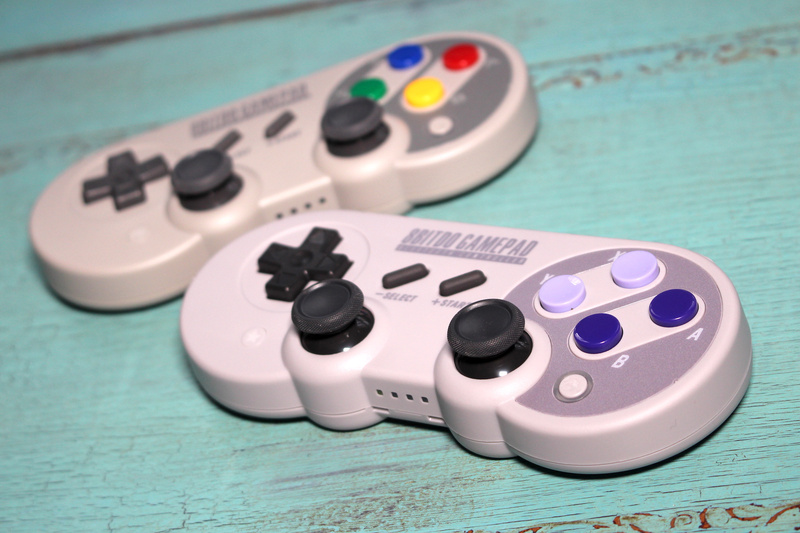 They’re identical to the nintendo snes controller, but they’ve recently been discontinued. I had a bad experience with one of their NES controllers for my retro pi setup. Just after 30 days, the right shoulder button stopped working and the only option was to send it to China for repair and I had to pay for shipping. No thanks. Amazon was great and allowed me to return even though it was outside of the return period. "It's not anywhere near as subtle as Nintendo's HD Rumble"
That and no NFC is actually a deal breaker for me. Gonna stick with the joy cons for now. @OorWullie This is how real pros play Puyo Puyo Tetris. "Doesn't look to be officially licensed, so no thank you"
That's just silly. That's like saying that all home brew games are awful, or any unlicensed peripheral ever made for any video game system or computer has been crap. Hey, if you just want everything you own to be Nintendo branded, or be officially licensed, then good for you. Enjoy your empty wallet, lol. If this had come out last month before I got my pro controller I might have went for this. But not now. Looks cool though. To anyone worrying, 8bitdo's controllers have an amazing build quality. I love my SF30 and have never had a single issue with it. I use it on my laptop all the time and there is no lag whatsoever. It works flawlessly with MAME and comes with a USB cord if you want to use it that way. @RupeeClock I've done this fix and it works like a charm now, the problem is not the dpad itself, which is pretty good, but how it registers some inputs. After doing that I manage to play puyo puyo tetris and other dpad games with no hassle! @Prof_Yoshtonics How's the comfort level on it? Does it feel like a snes controller and do you feel like you can use it for a long period of time? Just to add, I can vouch for the build and durability of the NES30 Pro, picked up x2 of these earlier this year for a Raspberry Pi project, work a treat, gokd battery life, rock solid. Was glad to know these can be used with the Switch for multiplayer sessions. @Yorumi It's really comfortable. Pretty much exactly like the real deal. I can use it for hours, no problem. It's actually sort of amazing how much the D-Pad and all the buttons feel completely authentic. I've never had a 3rd party controller that I would say is as nice as an 8bitdo pad. 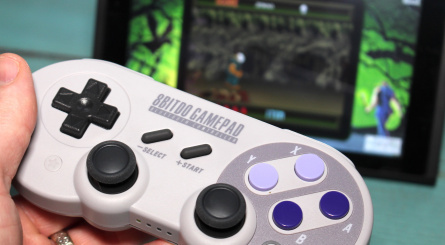 Maybe the Hori N64 pad or an iBuffalo usb pad but, I still think 8bitdo beats those 2. @Prof_Yoshtonics sounds good to me, thanks. I like all the devices I can use it on so should be great. I'm glad that they finally made a 3rd party option that has motion control, really should be a standard feature for switch controllers.. So I can play Splatoon with this? Want it so bad. @MooX Interesting, looking this up it sure looks like an easy fix. I may have to try it. That said, the SFC30 d-pad is still wonderful to use. @SanderEvers I think nintendo should just make Snes joycons, with the left one having a proper d-pad, and the right one with mini snes colored buttons. And if they releases them at same time as the virtual console, can you imagine how many people would want those things? @TheMudHutDweller I definitely didn't ask somebody I never met before for their opinion. "I definitely didn't ask somebody I never met before for their opinion." Well, boo-hoo-too-bad-for-you, bud. This is an open forum and not your safe space. If somebody chooses to post something fatuous (like you have), then they should expect some kind of response. Adverse to the idea that your opinions may be challenged? Well, the Internet certainly isn't the place for you, then. Ooh... i like that Analog Super Famicom controller. But, i can use my Wiimote + Classic Pro Controller to play Nintendo Switch. @Anti-Matter Same, although I'm mostly using my Wii U Pro controllers now since my Wii motes + Classic Controllers are currently synced to my SNES Mini. These Mayflash adapters are amazing though (and relatively cheap at about 18 euro), can even use them to play Steam games with my Switch Pro controller. Getting one since Nintendo is just going to keep playing games with me and recognize my Pro controller as faulty only to replace it with yet another faulty Pro controller instead of ever actually fixing the thing. First, nothing tops the switch pro controller. Second, see "first". The design easily clobbers their NES30 Pro. Which I bought and promptly never used. Skeptical of the longevity of 8bitdo products. My NES30's usb charging port broke off and fell into the controller shortly after purchase. 8bitdo offered to fix it for me, but the replacement fee and shipping cost was higher than what I paid for the pad. Ever since then I've been gun shy about new purchases. Still, of my five 8bitdo controllers (7 if you count speakers) it only happened with one device. @TheMudHutDweller Actually I can think of at least few reasons someone might be concerned if this isn't a licensed product. 1. They might think there's some ethical problem with not getting approval from Nintendo. 2. They might think it's a sign that the product isn't good enough quality to get Nintendo's approval. 3. They might be worried that it's using some undocumented and non-officially supported protocols to communicate with the Switch, which might change in a future Switch OS update and render the controller useless, at least with the Switch. It seems like you assumed the OP was concerned about one of the first two reasons. Personally, I am not at all concerned about 1. 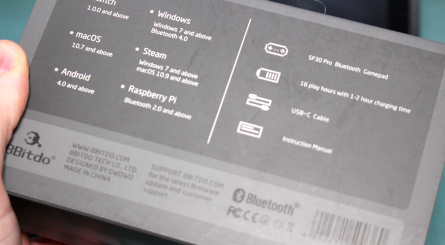 I'd be a little concerned about 2 if 8bitdo didn't already have a good reputation, but since they do I'm not. 3 on the other hand seems like a valid concern to me. If Nintendo doesn't officially support 3rd party controllers, then they're not under any obligation to maintain compatibility with 3rd party controllers in future OS updates. I'm not saying they'd maliciously try to break 8bitdo controllers, just that they might change something which unintentionally breaks compatibility. A similar thing happened with the Switch 4.0 OS update and older TVs or monitors without HDMI ports. People who were using HDMI-to-DVI adapters suddenly had their display start displaying 480p instead of 720p. I was one of those people, and called Nintendo support about it, and was told they never intended to support HDMI-to-DVI adapters, it was just an accident that it had ever worked, and they were unlikely to ever fix it. Oh well. Ah, I see. Not being an owner of a Switch, I was unaware of Nintendo and the third-party controller thing (reason No. 3), so thanks for clearing that up. My bad. 8bitdo pads are awesome. I have several and they are great. I will be getting both of the colour variants of these. @OorWullie Agreed wholeheartedly. I was playing Cave Story on my switch, and found it more comfortable to use the stick than the d-pad. The stick! Crazy, I tell ya. Been waiting for this to drop. Looks great. At that price, might as well get an official Pro Controller from Nintendo, which gives you NFC functionality, HD rumble, a more ergonomic and robust grip, plus better superior layout and usability of buttons, sticks and triggers. Also, the guarantee it'll work perfectly without any lag or other unforseen problems. Sure this one is cheaper, but not by much. @Thierry yup... but it's ugly. Plus, this controller ticks all the boxes for all of us over 30 years-old that played SNES back in the day. Back in the day I loved this controller, but the world has moved on. Compared to the pro controller, it’s not very comfortable to use, especially when using the analogue sticks. I'll stick to the Joycons until there is a good controller out there with HD rumble AND a headphone jack. can you do a hardware review of this: https://www.amazon.com/dp/B07457V4XJ/ or this: https://www.amazon.com/dp/B0773KT5VS/ ? @modular Well, beauty is in the eye of the beholder, as they say. I like the way the Pro Controller looks. Also I'm over 30 and still own an original SNES... and this pad doesn't do anything for me. @OorWullie The D-Pad is so imprecise and awful on the Pro controller that I cannot believe more people aren't yelling about it online, or that that Nintendo hasn't addressed it. Such a shame though, that controller felt so good to hold. Preordering the 8bitdo. @TheMudHutDweller Just to be clear, I don't actually know for a fact whether or not Nintendo officially supports third party controllers. I'm just saying it's a valid concern. I'm interested in one of these, but I'd like to have some certainty that it's going to keep working correctly across Switch OS updates before plunking down $50 for one. 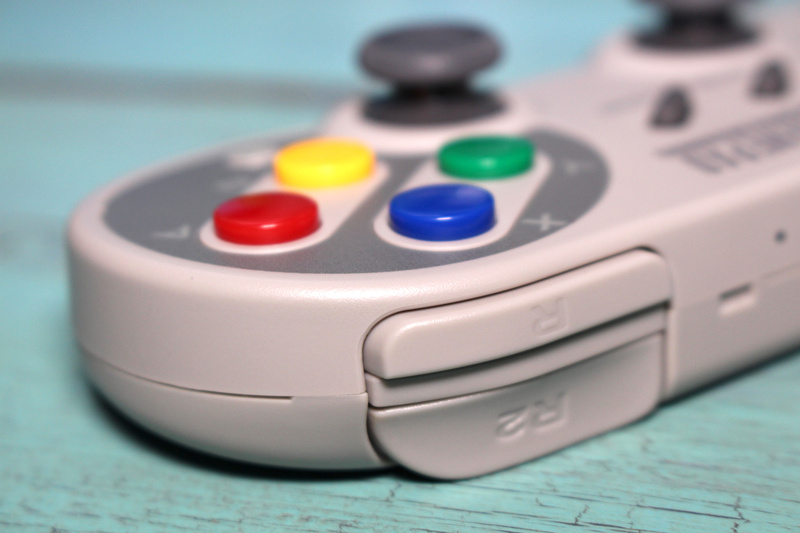 I'm glad that they tried to make it look like a modern controller but seeing sticks on a Super NES pad makes the thing look darn ugly. I might still check it out just to see how it perform. Tempted as its easier to transport but TBH I'm more interested in using it for classic and 2D games so the standard SFC30 might be enough. On that matter, there are multiple SFC30 listings on Amazon, is anyone able to tell me which one is legit? It looks real nice, and I am tempted to get one. I will consider this more strongly if Switch gets virtual console support where I have more games that I want a D pad for. Games on a grid like old school Fire Emblem, Advance Wars and Pokemon, all feel nicer with a D pad and if I am using the D pad primarily, I prefer this placement of it compared to it's location on the regular pro controller. I like the pro controller better for BotW and Odyssey, mostly because the 8bitdos that I have don’t have motion control, but also the pro is just so very comfortable. But for any game that needs a good d-pad, I use an 8bitdo. Also, even though you can buy another set of joycons for extra multiplayer controllers for a similar price of buying two 8bitdos, I’d rather get two 8bitdos. It’s so hard playing games like Bomberman with an analog stick. Besides I like their versatility. I use my nes30 pro for my games on Steam. It even slides flat right into my laptop sleeve. You can also use them on PS3 and Wiiu, and if you get a receiver, you can also use them on the nes and snes classic consoles. It sounds pretty good, but switching the positions of the D-Pad and the left analog stick like they did is a deal breaker for me. I have an 8Bitdo NES 30, which works pretty well. The only downside was the analog sticks being a bit small, and this new version seems to fix that! Might jump; 8Bitdo consistently makes high quality products. It makes it impossible to play precision fighting games and platformers, and Tetris. 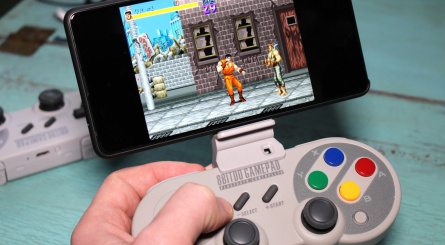 @Flipbot The SN30/SF30 Pro (the ones featured in this article) have motion controls.